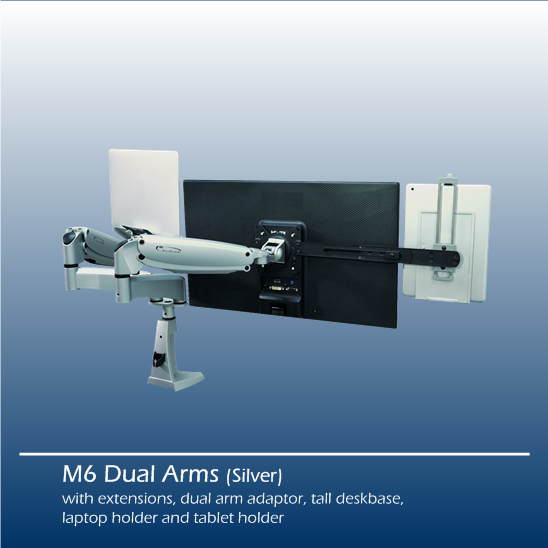 Design for dual monitors or monitor & laptop combo application, the M6 Dual offers two independent M6 arms mount on a single base mounting (desk base, wall mount, pole mount) with the dual arms adaptors. It provides very flexible movement and adjustment on the monitor(s) and the laptop computer individually in a minimal foot plinth. 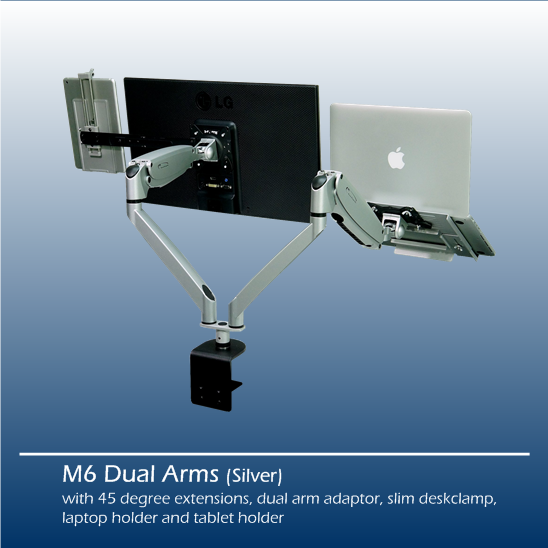 Dual M6 arms mount on a single base with the dual arms adaptors for desk, wall or pole mounting. 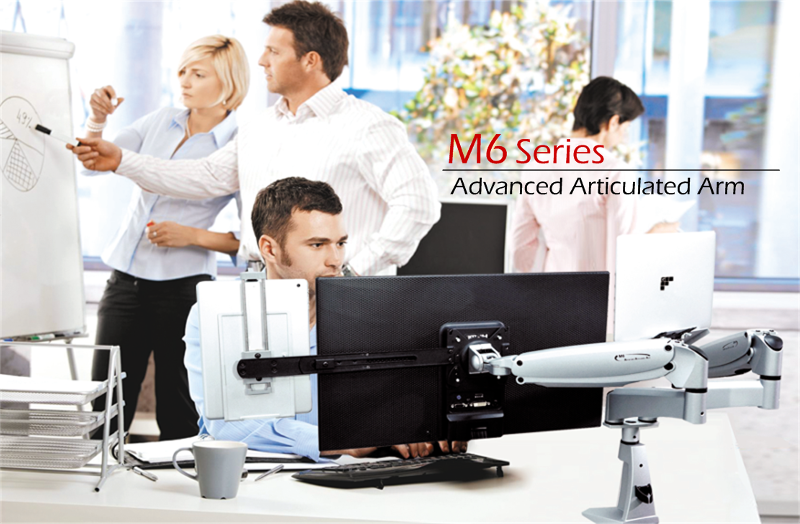 Each M6 can be moved or adjusted individually. 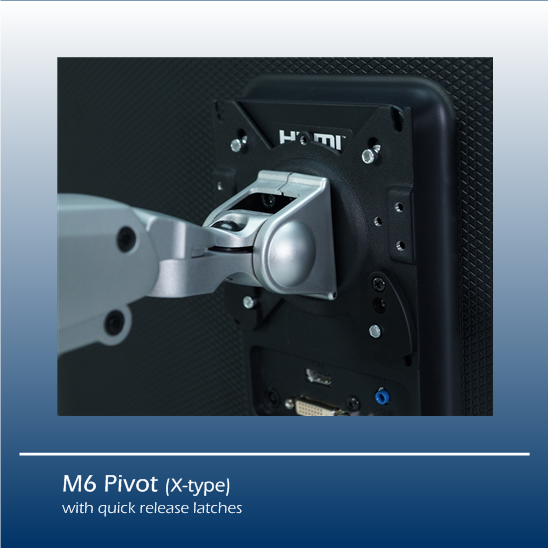 M6 provides a stable, reliable and an easily adjustable counter balance support for any monitors ranging from 5 to 22 lbs (2.3 to 10 kg)*, which covers up to 24" monitors in the market. 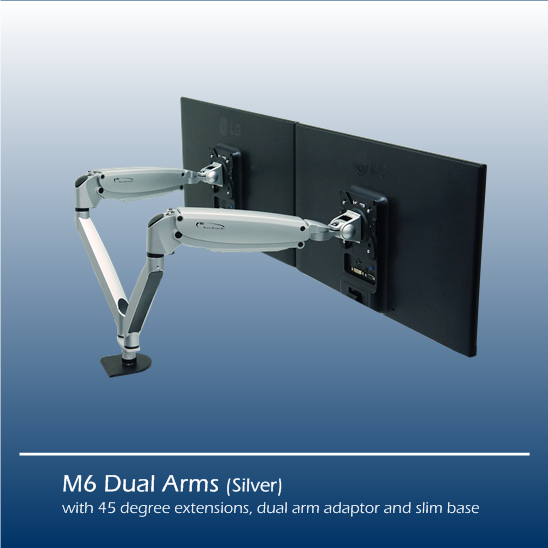 The parallel linkage mechanism provides an effective and stable platform for the lift and lower action of the monitor arm effortlessly without affecting the viewing angle. 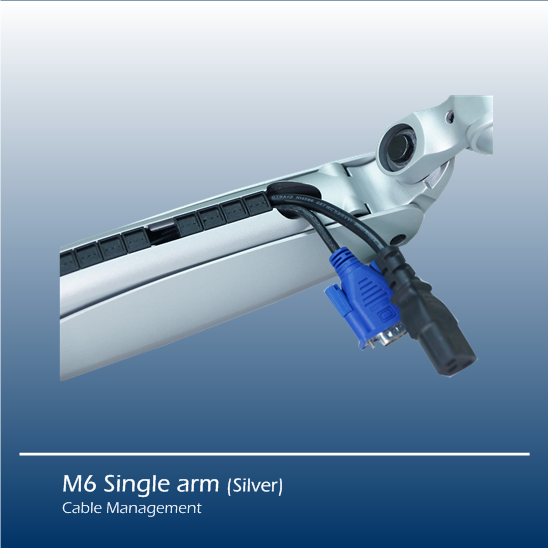 Quick release plastic inserts and hook & loop ties underneath the forearm and extension respectively allow quick and easy management of video and power cables in a neat and tidy way. Copyright 2003 Master Group. All right reserved.